DRM became aware that patients were being denied emergency mental health care at Central Maine Medical Center and at St. Mary's Hospital, both in Lewiston. Disability Rights Maine (DRM) is the nonprofit that has been assigned by the federal government to protect and advocate for people with disabilities, including people with mental illness, in Maine hospitals Last Spring, DRM became aware that patients were being denied emergency mental health care at Central Maine Medical Center and at St. Mary's Hospital, both in Lewiston. So managing attorney Kevin Voyvodich says the group filed a complaint with the state and with the Centers for Medicare and Medicaid Services, CMS. "In the cases cited in the complaint, those individuals were either turned away, refused or law enforcement was called and they were arrested," says Voyvodich. Central Maine Medical Center went so far as to notify local law enforcement officials that they should not bring anyone experiencing a mental health crisis, suicidality or both to its emergency department unless the person was also experiencing some type of physical trauma. Voyvodich says that on at least two occasions patients were sent to jail, and they continued to experience the same or worsening symptoms for which they sought help in the first place. "The criminalization of mental illness is a huge issue because correctional facilities are not where these individuals should be treated,” he says. “They should get assistance in psychiatric facilities or in emergency departments." Last November, one person who was arrested at St. Mary's and booked into jail was placed on suicide watch as a result of what a mental health representative said was the patient's "deteriorating mental stability." The next day records indicate the same patient was naked in the locked cell, delusional and screaming that he/she/they was dying after falling through four floors. 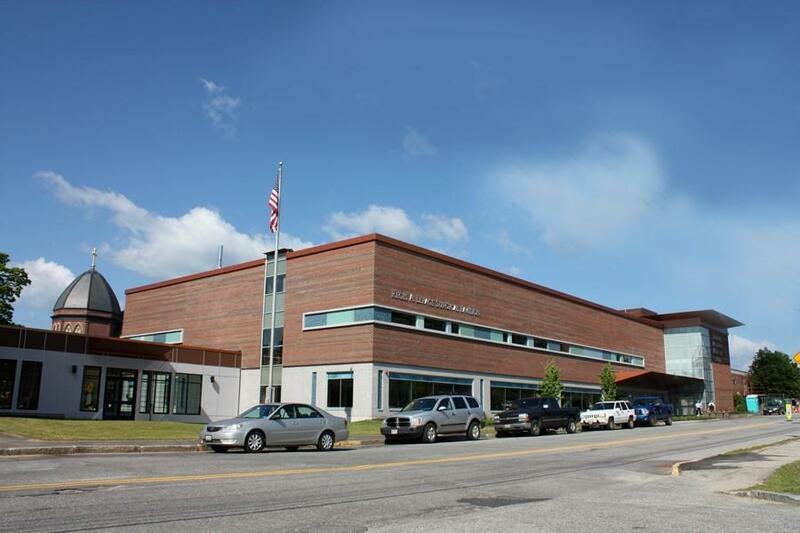 "Jail is obviously not the appropriate place for a lot of those folks,” says Captain Jeff Chute, the administrator for the Androscoggin County Jail. He says the jail has been seeing an increasing number of people experiencing mental health crises showing up at its doorstep. He says these episodes are what often leads to a person's interaction with police, who are limited in where they can take them for help. "People have come in, in obvious crisis and having, you know, breakdowns and not really understanding what they've done or where they are,” he says. “But, I'm glad to see that it's being addressed and hopefully it can be fixed. It's something we've been dealing with in corrections for many years." Both hospitals were found to be in violation of the Emergency Medical Treatment and Active Labor Act which could have jeopardized their Medicare funding. But both have since adopted policies and plans to ensure that mentally ill patients in crisis are not turned away. These measures include training for staff and improved screening and tracking of patients, as well as a letter sent by CMMC to law enforcement agencies and emergency responders clarifying that the hospital will serve all patients who show up in the emergency department. CMMC did not immediately respond to a request for comment for this story. In a written statement, a spokesperson for Covenant Health, which oversees St. Mary's, said the hospital takes the situation "very seriously" and is "always looking for opportunities to improve our processes and our operation."